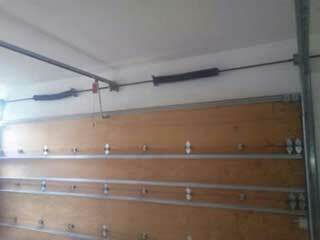 The average garage door can weighs between a hundred and thirty to three hundred pounds, and this weight is supported almost entirely by the torsion or extension springs that the system uses. These components are very durable but they will wear out and break after a certain amount of time. A broken spring makes will make it impossible to use your door, and can pose serious safety risks, so it’s very important to get it replaced ASAP. That’s where we come in. Depending on the type (extension or torsion) and quality of these components, you can expect them to last from five to ten years, or more. Whether they actually break, or you manage to notice their condition in due time, getting the replaced is the inevitable solution. Our technicianscan quickly disconnect the existing units and install high-quality replacements in their place.Performing this procedure can be incredibly risky, so unless you have the required skills and experience, you better leave it up to our team. Why Do Springs Wear Out? Every time you use your door, you are placing a great amount of stress on the springs. A busy householdmay see the garage door used over a thousand times a year, so the looming breakdown will probably occur sooner than it would in other homes. It is possible to reduce the impact of wear and tear on these crucial parts by scheduling to have them undergo regular maintenance; our technicians will lubricate them to ensure their smooth operation and adjust their tension to keep the door perfectly balanced. This extends the service life of these units considerably, and is well worth the investment, as it will allow us to detect minor deformations of the coils and determine when spring replacement will be required. If your torsion spring needs to be adjusted or both your extension ones are about to break and you need an emergency replacement service, we've got your back. Contact Garage Door Repair Burnsville today and let our specialists deal with these important yet dangerous parts.